Raindrops and Daydreams: News roundup: Gift's Sakon and Mitsunari plushies can now be preordered - for a limited time! 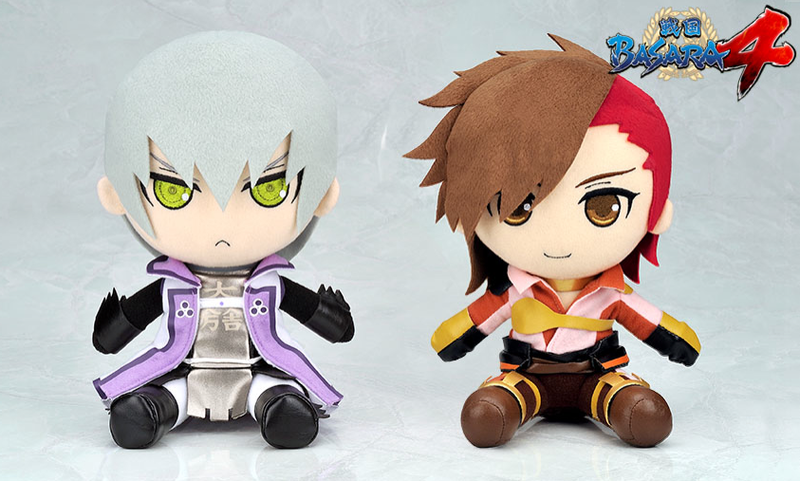 News roundup: Gift's Sakon and Mitsunari plushies can now be preordered - for a limited time! My copy of Sengoku Basara Magazine still hasn't arrived. Since that's left me with an unexpectedly free evening, here's a round-up of the latest merchandise announcements. 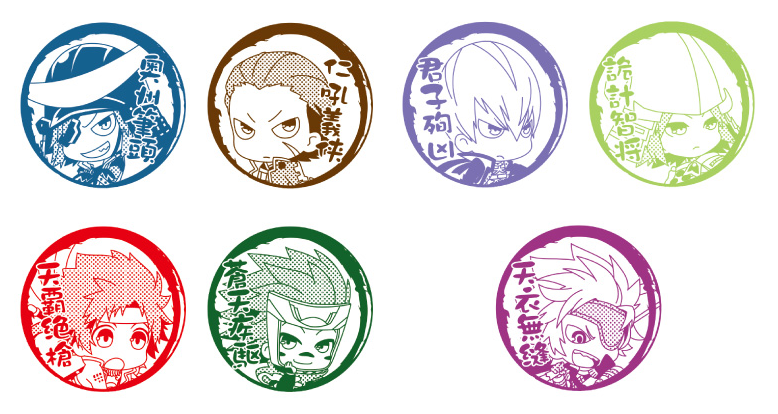 Seven adorable Mame Sengoku Basara 'Colorful Stamps' are set to be released in gachapon machines in Animate and Gamers stores from October 2014. Each stamp will cost ¥300, though it may take fans several attempts to win the character they want most if they have bad luck with the gachapon lottery. They're all so cute that even getting the wrong character will still make people happy, right? 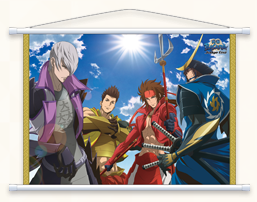 More Sengoku Basara Judge End merchandise appears from time to time on the official website, and today's new item is a B3-sized wall scroll due for release in mid-September 2014. It will be priced at ¥1,500. After being teased a while ago at events, the Gift x Algernon Sengoku Basara 4 plushies for Ishida Mitsunari and Shima Sakon are confirmed and planned for release in October 2014 priced at ¥3,000 each. Preorders were closed within hours over at AmiAmi (Mitsunari, Sakon) but Otaku Republic (Mitsunari, Sakon), e.alamode (Mitsunari, Sakon) and Animate (Mitsunari, Sakon) are still accepting reservations and Amazon Japan hasn't listed the plushies at all yet. If you're set on AmiAmi, they're still listing them both on Rakuten (Mitsunari, Sakon) and might ship overseas that way. Fans outside Japan will need to use a proxy service to order from stores such as Animate. These plushies tend to be very popular and difficult to obtain once they've sold out so I hope that everyone who wants to acquire them is able to!